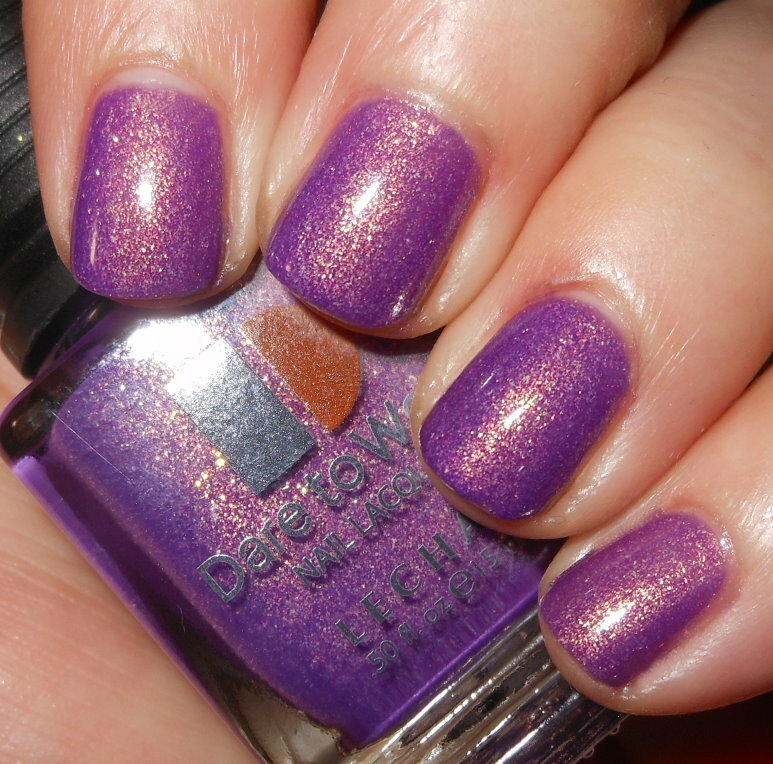 I have another LeChat Dare to Wear polish to share with you today. I was immensely impressed with Honeysuckle, and I have to say this brand is continuing to impress me. It's just unfortunate this brand doesn't get any buzz, it's deserving! 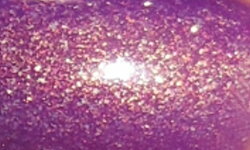 Royal Crystal is a medium violet with a fine golden-pink glass fleck glitter. Color: If you're curious, check out Vampy Varnish's swatch of Spoiled Are Mermaid's Real? for comparison. This was my initial instinct prior to purchasing Royal Crystal. I was consider they'd be dupes. They're not. I think Royal Crystal is better. Royal Crystal has a more red-toned and vibrant purple base and the glass fleck glitter is much finer and smooth. I love this shade of purple. I felt the Spoiled nail polish color was a bit too dull and blue-toned for my tastes. Formula: Excellent formula. I am absolutely loving LeChat's formulas. They're apply so evenly and smooth with no effort whatsoever.. I used 3 thin coats above. Overall: Royal Crystal is a beautiful color. I love the glass fleck glitter in this. Glass fleck glitter is something I feel the nail polish world is very much deprived of these days! Bring them back! The color of this is vibrant and the glitter gives it a stunning finish. Love! this is a beautiful polish!